Van-Am Tool & Engineering Inc.
Van-Am has provided tool & die manufacturing, stamping and machining services to its customers since 1981. The company offers a full range of design and build capabilities that serve the automotive, construction, appliance and transportation industries, among others. The Van-Am brand utilizes its modern line of machines, extensive expertise of 50+ talented employees and quick turnaround times to differentiate itself from competition. C&G is a leading provider of electrical services and power equipment primarily to the oil and gas industry, as well as to the commercial and residential construction sectors. Operating out of eight locations in six states, C&G is well known for its dependable and timely customer service to many of the region’s Fortune 500 companies. With its one-stop-shop approach to providing certified electrical expertise with its fleet of rental equipment, C&G is uniquely positioned to deliver on its customers’ mission-critical objectives. Visioneering is a leading designer, manufacturer, and installer of complex, high-quality assembly tooling systems for the aerospace and defense industry. With a distinguished history that spans over six decades, the company manufactures a complete suite of aerospace tooling products, ranging from highly-machined large assembly fixtures to smaller close-tolerance tools. Visioneering’s custom solutions and tooling system expertise have enhanced the aerospace industry’s ability to assemble aircraft in less time and with greater precision and flexibility. TGK is a leading niche manufacturer of highly engineered rubber and metal products, strategically located near the Slovenian border with Austria. The Company services mainly the automotive industry, with rubber parts for washing, lighting systems, auto electrics, Bowden wires, and wire harnesses. Since its establishment in 2004, TGK has utilized a highly automated manufacturing process to produce optimal quality rubber products designed to withstand the most complex of requirements. TGK currently employs over 70 people and operates out of two adjacent facilities in the town of Prevalje, Slovenia. Sonus is a leader in the automotive industry offering highly engineered plastic and rubber components and systems that contribute to full-vehicle refinement. The Company is an approved supplier to the Big Three, as well as to numerous Asian and European OEMs. The company is uniquely positioned to deliver on its customers’ mission-critical objectives by providing full-vehicle testing, component testing, design, development, and full-volume production. Sonus currently employs over 100 people and is strategically located in Warren, Michigan in the heart of the automotive industry. Since its inception in 1988, Teknika Strapping Systems has designed and manufactured a proprietary line of manual strapping tools and accessories for a wide range of strapping materials and applications. TSS offers a unique combination of advanced US engineering and high quality East European manufacturing. The company currently sells its products through a well-established network of packaging distributors in more than 45 countries. Knight Capital is a leading technology-driven platform that provides working capital to small businesses across all 50 states. Through its merchant cash advance products, Knight Capital supports business operations by offering a faster alternative to conventional bank funding. The company achieves a competitive edge within through the use of proprietary technology to enable more efficient underwriting as well as industry-leading best practices and systemized client disclosures. Located in the Ukraine, the Group operates several manufacturing facilities and a number of its own regional distribution warehouses that supply packaging materials and equipment to multiple industrial verticals throughout the country. The company pioneered PVC cling and shrink film extrusion technologies and holds a leading position in this segment within the CIS market. Founded in 2014, Tronoplast is an R&D-focused, plastics engineering company that designs and manufactures advanced extrusion lines for a range of industries and applications. Proprietary technological solutions enable Tronoplast’s customers to manufacture film and other extruded products with mechanical and chemical properties that exceed today’s industry standards, and to produce with lower operating cost than existing competitors. iWorks provides highly engineered custom lighting systems and fixtures to premium hospitality spaces to enhance overall guest experience. The Company is an approved supplier of experiential illumination solutions to leading US architectural and design firms, with their unique products well represented among 5-star hotels, resorts, and casinos, as well as many other renowned venues throughout the world. The company’s unique commitment to the most technologically advanced principles in the industry enables iWorks to deliver on its customers’ most complex lighting objectives. 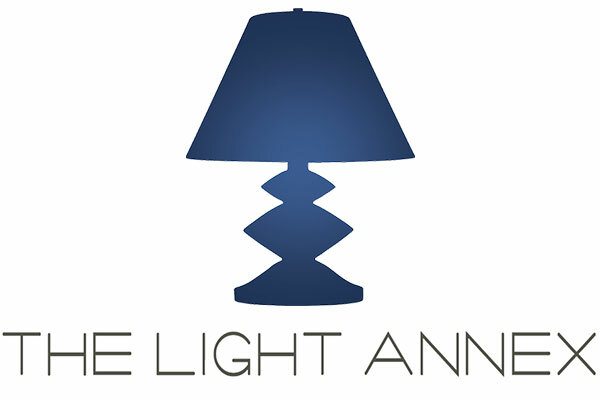 A sister company of iWorks, Light Annex supplies portable custom lighting solutions that enhance primarily the in-room hospitality experience. The company’s products are recognized as industry leading and represented at marquee venues across the country. The company leverages and adds to the strong brand recognition iWorks has developed with key players in the custom lighting industry and naturally compliments the core business’s offering of unique solutions. FabFitFun is a major player in the fast-growing subscription box market, offering consumers a range of unique beauty, wellness, fitness and fashion products. The business provides subscribers a full-size product sampling platform while offering vendors a risk-free marketing opportunity to test their latest and most innovative SKUs. The company’s business model also promotes new product development, both internally and through its retail partners, through consistent touchpoints with its subscription base. JPI Glass, LLC is one of the largest commercial glass and glazing contractors operating in Missouri and Kansas. The Company offers a comprehensive project delivery process from prefabrication through on-site installation of curtainwalls, storefronts, structural and art glass facades, windows and skylight systems. Utilizing state-of-the-art fabrication capabilities, JPI leverages its competitive advantage across a diverse set of end markets, including education, government and corporate.